Two of the UK's finest grindcore acts teamed up to bring you what is titled 'This Septic Isle'. Side A of this brutal 7 inch is the technical death grind masters Oblivionized, spewing forth two tracks of misanthropic mayhem and mind-blowing insanity mastered by Scott Hull (Agoraphobic Nosebleed, Pig Destroyer). 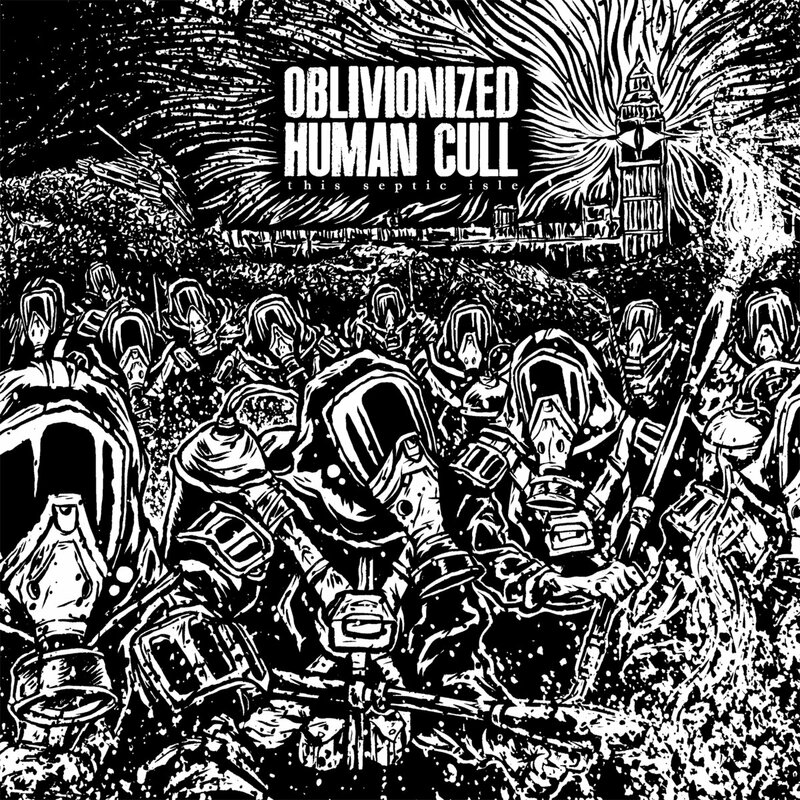 On side B, Human Cull return with five tracks of straight forward, pure, raw, hate fueled grindcore mastered by William Blackmon (Gadget). To top off this sickness, you get artwork by Luis Sendon and Arif Rot. This is a split EP for grindcore fans, by grindcore fans. This is NOT for the timid or the weak!